I’m sure you’ve heard of direct selling companies like Avon and Mary Kay. Maybe you’ve purchased products from a direct sales consultant before or attended a product party for a particular item. Direct sales basically involves selling products face-to-face and and away from a retail store location. Representatives reach out to family and friends, network with others or host in-home shopping parties with presentations and pass out catalogs to promote sales. The idea is to build your customer base over time through referrals and marketing your direct sales business. It sounds like a very plausible way to earn an income, only you must consider that earnings are 100% commission-based and a large portion of your commission will go to the company you sell products for. Most direct sales consultants earn anywhere between 20%-40% sales commission on average. You also might need to invest in a starter kit to begin selling your products. Having to come up with your own leads and forfeit a large portion of your earnings doesn’t sit well with a lot of people and may turn them away from trying out direct sales. Plus, as with most work-from-home jobs out there, there are a few illegitimate companies that try to set up pyramid scams so consultants will never make any real money. (I will discuss this in detail soon). On the contrary, the good companies definitely outweigh the bad. 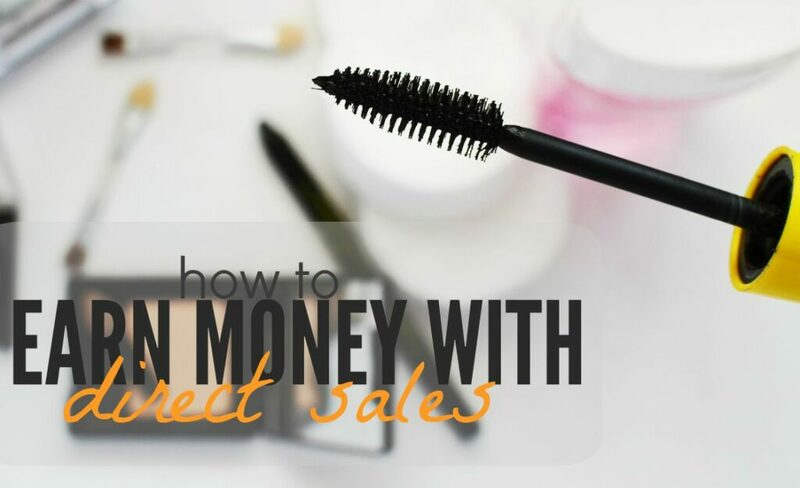 So why should you consider doing direct sales to generate extra income? When you’re just starting out with direct sales, it helps a lot to have a solid list of potential customers lined up. Write down at least 50 names of people who you could potentially sell products to. Odds are, only a portion of them will actually order something, so this is why you should keep your prospect list large. You should make business cards and drop them off at local shops and businesses and make it a habit to meet a few new people each day. Today’s digital and technology-driven society doesn’t mesh well with the face-to-face interaction required to succeed in direct sales. Don’t let that stop you. There are plenty of ways to develop more leads and connect with new people regularly. You can ask your friends and family members to share your catalogues with their co-workers, leave some catalogues at your church or offer a special incentive for referrals to help draw in more people. The more leads you have, the more customers you’ll get and the more you’ll earn. Have you ever bought anything from someone who acted as if they could care less about the product? It’s very unlikely that you’ll make sales if you aren’t passionate about the products you are representing. As a direct sales consultant, it’s your job to learn about your products inside out and get people excited about using them. Believe wholeheartedly in what you are selling and the value of the products will come across even more. Pyramid schemes are illegal scams where a large amount of new representatives at the lower level of the company have to pay substantial amounts of money to a few people at the top. Things to look out for would be if you were required to make a large investment or monetary contribution to the company right off the bat. I’m not talking about starter kits with sample product, but empty miscellaneous fees that are required before you start working. With pyramid schemes, you pay a lot of money to the higher-ups and the only way to make money yourself is to recruit a ton of people to join the scheme. Illegitimate companies that promote this are not focused on product sales but their interest lies in taking your hard earned money and offering you little in return. It’s important to realize that some direct sales companies do offer consultants levels and rewards for recruiting new consultants and this doesn’t make it a pyramid scheme. Generally, you would earn a commission based on what your recruitments sell. As long as you can earn money without recruiting others, you can still become successful. However, if you have a friend who is interested or know someone who might do well as a consultant, recruiting others can only help create an additional stream of passive income. Even if you are representing another company’s product, you should still treat your direct sales position like a business. 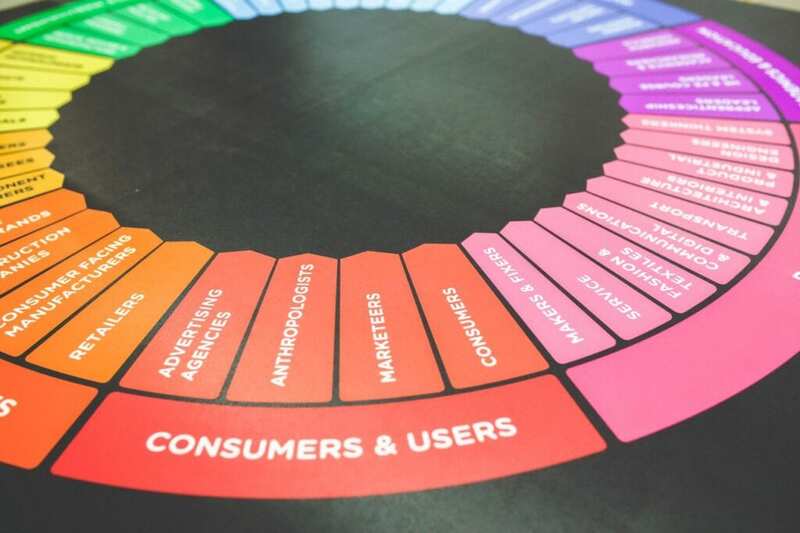 This means you may have to invest in additional advertising, draft and pitch press releases and plan and advertise events. When you start a business, you don’t just wander into the opportunity, put minimal effort in and somehow become successful. It’s important to set goals for yourself at the beginning and follow through with specific objectives each month. Consider how much money you want to make each month and what you need to do consistently to get there. This will help you remain focused and motivated as a direct sales consultant. Direct selling parties are a great way to get a group of potential customers all in one room for a fun shopping experience and allow them to witness the features of the products first hand. You should promote your parties, upcoming sales and new product releases on social media and offline. Networking is key in this industry and it helps to surround yourself with people who respect what you are doing and will support you. You may want to reach out to other local consultants who sell the same products as you to seek advice, develop a partnership or just bounce ideas off of each other. When I used to sell Mary Kay, I remember attending meetings with a large group of local sales consultants and it was very helpful to receive marketing and sales tips and hear about the wins and losses of people who were in the same boat that I was in. Establishing a circle of support can help keep you motivated and feel less alone as an independent sales consultant. Not to mention, it can help open the door to partnerships and other opportunities to help benefit your business. Direct sales is not for everyone, but people have become successful consultants by following some of these techniques. Have you ever been a direct sales consultant? Would you ever try it out as a way to earn extra income? Right now a lot of moms I know are selling 31 bags, Young Living Essential Oils, and Origami Owl Jewelry. Being in the “stay at home mom” category, most of my friends are also SAHMs. It can be tough to break into direct sales, since I know about 6 other people who sell each of those, and they’re floundering as it is because of the sheer amount of competition. People can be really successful, though, with the right personality and networking. I do have a mom friend that started selling 31 bags before they really became popular and she makes a full time income from it now. Competition can be stiff sometimes so it’s important to make sure you analyze your potential market first. Competition is everywhere in any industry though, so for the right person with an outgoing personality, I think they can be successful no matter what. That’s awesome that your friend is earning a full time income from direct sales! I’ve seen people be real successful in direct sales. Unfortunately that would not be me. I would never be able to see the business as mine. I also do not handle rejection well. In sales, I have taken it very personal and eventually become discouraged completely. I used to feel the same way. I’m not going to flat out say I would rock at direct sales because even though I have earned money from it in the past, I’m naturally a shy person and shy and sales don’t really mix. A few years back I had a pretty tough job working at a telemarketing company and got rejected each and every day. It was hard at first but it really opened me up for the better because even now as a freelancer, I have to sell my talent and face rejection. It can really be a tough pill to swallow though. Please check out my website and give me a call I sell Thrive by Le-Vel. Three simple steps the first 30 minutes in the morning. And you’re not selling your telling your story. I never thought I could sell. But just telling my story has made it possible. I’m able to stay home with my son and I make more than my 65 our crappy jerk of a boss job I had before . I’ve sold Mary Kay as well. But I’ve never heard of Jamberry before. Trying out new credible direct sales companies with great products can definitely give you a competitive edge. People love newer and innovative products. My wife considered doing sales for Stella & Dot,a jewelry product, but she ultimately decided against it, mostly because she already has quite a few other things that she dedicates her time toward, and didn’t feel that she’d maximize her success with the opportunity. Maybe another time will be right. Funny, I considered Stella & Dot too but decided against it for similar reasons. Their jewelry is absolutely beautiful, but it’s important to make sure you have enough time to dedicate before you commit to starting anything in life. I know some women who are very successful and some who don’t do as well. Like you said, a lot of it has to do with your personal contacts and building a client base. I’m really looking forward to learning more about it during an interview with a successful friend next week. I’ll be blogging about it next week, and will definitely link to your post. I am not the right person for direct sales, but that’s okay because that leaves space for other people to sell their wares. I can’t wait to check out your post Christina. Sounds like it will be very interesting! I know grls that used it as side hustle during studies and then built their career here…well I like help them buying but I don’t see myself sell this items…but I can say that it is a great opportunity!!! It really is a nice opportunity for the right person. I’m not a fan of the whole direct sales idea. My gf had one of her friends try that, and she said that it was the easiest way to lose friends. That’s a very solid point. I believe it’s easy to look at your friends as dollar signs when you get started with direct sales but it’s important not to do that because you will likely fail. Friends and family can help get you started, but you’ll need customers and professional relationships. Establishing a network and satisfying a need for your customers is completely different from having a ton of friends and it’s not the best idea to rely on your friends for sales. I’ve seen people become wildly successful with these programs and I’ve also seen them flop. I haven’t done any myself, so I can’t say for sure whether I like them. 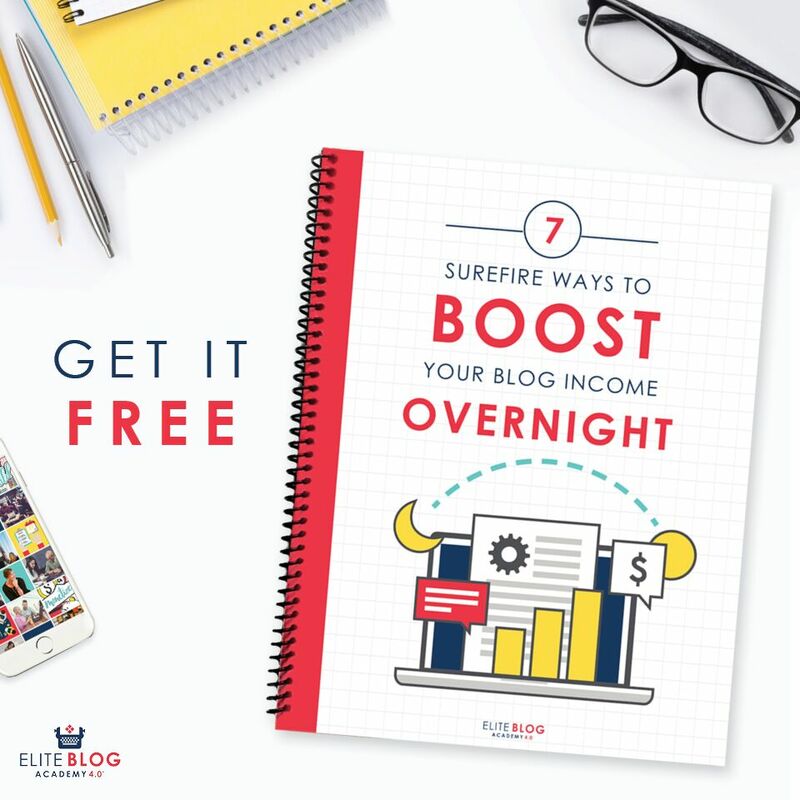 I do know there’s none I feel really compelled to do — I’d rather write / blog 🙂 I think this could be a great option for people needing to make money on the side and don’t know where to start. Came across your article. Thank you for not giving direct sales a bad name. Thank you for listing reputable companies. I am an Avon rep and I am in love with their products. I have to enjoy the products before I would even consider trying to “sell” to family & friends. Personally, I have passed over selling AVON so many times. I always liked their products but just didn’t think I would be good at selling it. I fell into that trap that Avon was for “grandmas”. I’ve only been a Rep for a few months and have done a fantastic job at getting sales. I have not put in 100% effort but I am quickly learning what my current customers love. Thank you for not trashing the industry. It has helped so many people throughout the world! We have greats like Tony Robbins and Jim Rohn, who people love but don’t realize that they are/were network marketers! The money is great, but I have found the financial freedom, fun and friendships rewarding as well! There are so many options for people, whatever their comfort level or expertise. Companies like mine, you can hide behind social media or throw parties or one on one appointments, and be successful! It’s all about consistency and caring a few hours out. The question is how badly do you want it? TV or an extra $500 income per month? Great article and honest! Hi, Thanks for your writing. I have to say that I actually love direct sales. I am a Tupperware Consultant and I love doing parties, and I love giving away free Tupperware. In the past I would have parties myself so I could get free products. How else can a poor girl get quality stuff? I love the socializing and the education. And the money is good. The downfalls are that you are subjected to refection a lot so you have to get used to it and sometimes people will avoid you because they are afraid you will ask them to buy or have a party or “eek” become a consultant! So you do need to keep in touch with your directors or managers and other consultants because sales s can be lonely, sometimes. But if you love the product you sell, it will come across and you will sell! I have been searching online for hours for a direct sales business that isn’t an mlm, and where I don’t have to recruit anyone else or have a minimum quota to make commission. I would love to find one that simply pays commission per item sold, regardless of total sales. Hmmm. I’m actually a distributor for an mlm now, but I don’t really work the business, but just buy the products for my own use, because I have to sell so much and depend on other team members for sales. I’d love to just sell on my own. *Sigh*. You may be interested in learning more about our La Bella Baskets & Gifts direct sales business opportunity. I have been a consultant for four years and love the way the company is set up. You can earn 20-40% commission on personal sales volume, there are no quotas to meet to remain active, you can recruit a team but it is not mandatory. If you do build a team you will earn monthly residual income even if they don’t have any sales and if they do sell their sales volume is added to your sales volume so you earn promotions and higher commission rates faster. You also have the opportunity to earn bonuses and overrides. We have just launched a new Scented Wax Roses and Candle line which pays 30% commission even for brand new consultants. Jill – have you heard of the direct sales company “Melaleuca”? They are technically ds but are not an mlm. Melaleuca is the largest online wellness store offering more than 500 everyday essentials at affordable prices. I’ve been working with them since August. Feel free to message me on FB if you’d like to see if it could be a fit for you. Jill D then you will really want to consider Premier Designs Jewelry. You make 50% of every piece of jewelry that you sell starting with your very first sale. There are no minimums or quotas you have to meet. You just simply earn 50%. You don’t have to sponsor anybody to earn it either. So if you sell $500 of jewelry, you earn half of that which is $250. If you want to hold a jewelry show and give the hostess free jewelry, you can do that as well And Premier pays for all the hostesses free jewelry. Hi my name is Stephanie Wallace. I am a new consultant for Thirty one gifts and bags. Shop until you drop for all the wonderful gifts. What’s up you can start your business with Thirty One Gifts. Just click the link below. Share it around on Facebook. Good afternoon, I love this discussion! Thank you Chonce for the informative article on direct selling. I saw the comment from Jill D and thought I would respond. If you’re interested in selling products without recruiting, quotas or home parties and you like posting online, consider affiliate marketing. I did an MLM years ago and promised I would never do it again. I didn’t believe in the product (it wasn’t even something I used) and I literally only heard from my upline I think twice the whole time I did it. A few months ago a friend of mine started doing forever living and I was buying lots of stuff from her, I genuinely love the products and use most of them myself. Before I knew it I was generating sales for her just by telling people about these great new products I was using so I thought: why let her make the commission? I have only signed up recently and am certainly not making a fortune by any stretch of the imagination, but I am making some extra money and I can really see how it could grow and grow if I put in the effort. My upline is fantastic, I have the ability to contact pretty much anyone on the team pretty much whenever I want and everyone is super supportive. This time I am ready to make MLM work for me. I came across your blog while doing some research. Having many years in direct selling I find most of your piece to be spot on. The one area I feel misleading is a monthly purchase or subscription is a red flag to pyramid schemes. My business does have a monthly fee as do many others. To keep perspective, let’s look at your gym membership, your cell phone service, your auto insurance or Sam’s Club membership. All require a monthly payment to have access to the service. A monthly auto ship for products is also part of many direct selling models that are 100% ethical. As in many things in life to generalize is not accurate. Most people research products and services before making a decision. Same applies when exploring business opportunities. 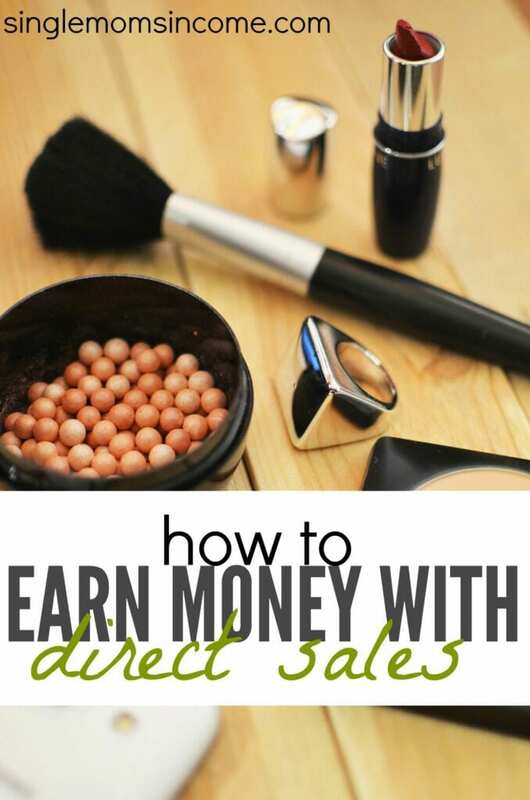 This is fantastic and knowledgeable blog post for direct selling. Thanks for sharing it with us.